Surely you can appreciate that no matter where you vacation, learning a little bit of the history before you leave can give you a more enriched experience. Below you will find a concise and brief history of Palermo, which has the most history of any one place in Sicily. Instead of giving you pages and pages of useless information, I will instead give you the information about Palermo that was significant. This means that the facts to come will tell of the events or time periods that shaped Sicily and Italy, and leaving out the things that have not had any tangible effect. This is going to save you time, because honestly, who cares about history that isn’t historically significant? That being said, the goal is to give you the information that matters so that you have the best time on your visit to Palermo. 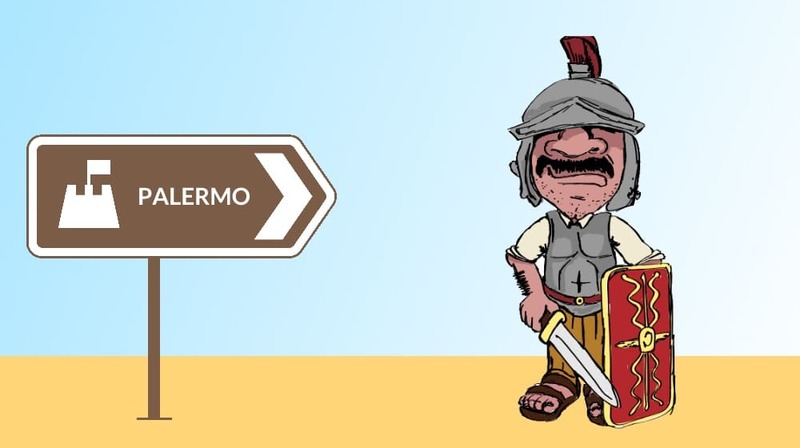 Here’s a fun fact: Palermo is deemed the most conquered city in the world. It’s advantageous positioning on the Mediterranean Sea has given way to many different dominions throughout the centuries. You might already know that Palermo is the capital city of Sicily. Sicily is the largest island of Italy, seemingly kicked into the Mediterranean Sea by the boot shaped country we belong to. Palermo itself rests between the hills of Monreale and the mountains of Billiemi, along the edge of plain overlooking the Tyrrhenian Sea. In the beginning of Palermo’s history, an unknown group of inhabitants (referred to as Sicani or Sicanians) ruled the lands here. In the 7th century, Phoenicians would find a home on the Island, and call what is now Palermo Zyz (which in their language meant flower). This name seemingly comes from the layout looking a lot like the profile of a flower by being cut by two major rivers (Papierto and Kemonia). This was a heavily populous time, and people took full advantage of the annual mild climates and the fertile soil here. Zyz would be significant due to its location, which would become a popular destination for the Greeks. At one time, the Greeks would populate a large part of eastern Sicily, but they would never officially conquer it. The Greeks would also rename Zyz to Panormos (“all-port”). While this was namely due to the natural harbor that was built by the crossing of the two rivers, this name would catch on quickly as Greek influence began to set in. Even the language that Sicilians use is derived from the various countries and peoples that have held power here over the city’s history. A study suggests that per 5000 words, Sicilians use over 50% Latin-based words, but that they also pull about 15% from the Greeks and around 6% of both Arabic and French languages. Phoenicians would remain in control until the First Punic War would happen (between 264 and 241 B.C.) Palermo would actually be at the heart of the dispute between the Romans and the Phoenicians from Carthage. 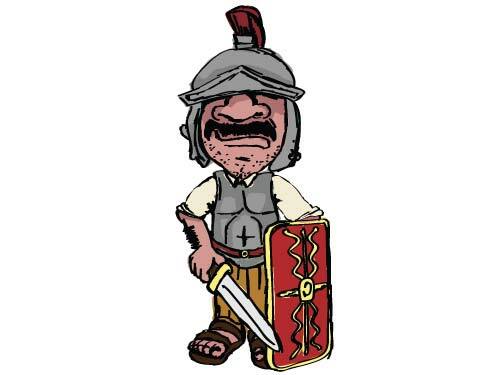 Romans would eventually win out, and their rule in Sicily would last from 258 BC, when Palermo was conquered, until 491 A.D. During this time of barbarians, the city would be captured by Ostrogoths. While under Roman control, little changed in the appearance or autonomy of Palermo. 535 A.D. would see the liberation of Palermo by the Byzantines. They would usher in a period of peace for the city, lasting until 831. This is when the Arabs took over and made Palermo a capital in their Sicilian emirate. After around 40 years of excavations (1864 – 1905), remains of three incredible residences from the Roman period would be brought back to life in Villa Bonanno. While there are many vestiges to speak of, one of the greatest of these would be a floor mosaic showcasing a “hunt of Alexander the Great”. You will find that the buildings throughout Piazza Vittoria are also influenced by the Roman era. At this point in Palermo’s history, the city was being called Balarm. During this dominion, the city would thrive in trade and culture. Unlike today, this was a harmonious time that saw Jews, Christians and Muslims sharing the same spaces and being respectful of one another. From 827 to 1061, this Arab control would inspire social, economic and cultural advancements that still shine in traditional Sicilian practices today. A noteworthy concept that has been very dear to Sicilians is their close relationships with family. During the Arab reign, Balarm (Palermo) was in the midst of an economic upswing which brought luxury and wealth along with it. Being a hub on the Mediterranean, Balarm would have over 300 mosques and more than 250,000 residents. At this time, both Rome and Milan were only inhabited by around 30,000 people. 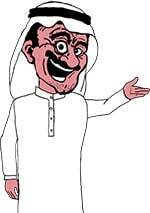 Science and literature played a significant role through this Arab land, promoting a rich culture. The Arab dominion was one of Sicily’s longest ruling eras, and it left the biggest impact on current Sicily. Over the span of around 200 years, Palermo has been forever changed through the customs, traditions and culture present during this time period. All throughout Palermo, the Arabs constructed buildings, mosques, fountains and gardens. Curiously when the Normans would eventually take over as the ruling body, they were willing to keep some of the Islamic art, even though they altered nearly all of the buildings and structures. The Arabs also had a large part in inspiring the cuisine within Sicily. Spices, sugars and various aromas were staples of Arabic foods, and are still present in what are deemed traditionally Sicilian dishes. Even though they were also responsible for things like magic rituals, exorcisms and incantations, their impact on the area could not be eradicated by even highly influential rulers that would come after them. This is why it is believed that the Arabs might be the most culturally significant to the history of Palermo and all of Sicily. After 5 long years of siege, the Arabs would lose control of Palermo to the Normans (led by Count Robert Gulscard and Count Roger de Hautsville) in 1072. For some time, Palermo’s success would continue and things would steadily prosper, especially following the creation of an official kingdom and the appointment of Palermo as the capital. Success would be easy for the Normans initially, piggybacking off the heritage and former successes of the Greeks, Romans and Arabs. Then the Germans would have their opportunity to rule following the Normans. The Hohenstaufen Dynasty would be a time of great instability for Palermo, especially following the death of Hohenstaufen Emperor Frederick II. During this time, a great number of churches and convents would be erected. This period of Norman rule would see the building of Capella Palatina and several Palermo cathedrals. Sicily would change hands a lot before another lengthier ruler would fill the void. The Swabians would have control for a time, followed by Angevins, then Aragonese. It would be back and forth until 1494 when Spain would annex Sicily. Then it was deemed a Viceroy town once this happened. The rule at this time was based from an organized bureaucracy, supported by the Holy Office. There were many buildings that were constructed within this time frame. Monuments went up all over the city, commissioning work for the greatest artists and decorators of the time. A good example of this would be the Pretoria fountain, which was originally purchased from Florence, but then reconstructed to be used in Piazza Pretoria by Camillo Camilliani (sculptor). At this same time frame, the Quattro Canti would be constructed via architect Giulio Lasso. 1713 would see the end of Spanish rule when the Bourbons arrived and the Peace of Utrecht was agreed upon. The Landing of Garibaldi (Expedition of the Thousand) would cycle the end of Bourbon rule over Palermo, and would also unify Sicily to Italy (1861). Construction would take off under Italian control of the Island, seeing the construction of theaters in Massimo and Politeama. Liberty Style buildings and villas (such as the Grand Hotel Villa Igiea) would also become a common build. In 1891-1892, Palermo would host the IV National Exhibition (the modern day EXPO). In the early parts of the 20th century, Palermo would flourish in many ways. The economy and cultural growth were unlike anything the city had seen for centuries, especially in the style of Art Nouveau. Once the Great War began, Fascism soon found its way to Sicily. In 1946 though, Palermo would officially be named the capital of the Island. After World War II, Mafia bosses would leave Palermo behind to seek the expansion of their criminal enterprise abroad in America. 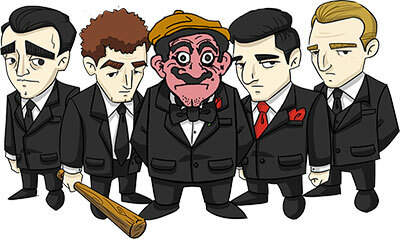 Lucky Luciano, Frank Garofalo and Frank Coppola would be critical in the development of the North American (Mafia-based) drug trade. These days, there is another economic upswing throughout Palermo due to a revitalized tourist draw to the area. With our year-round mild climate, deep history and one-of-a-kind artwork, it’s no wonder Palermo is drawing in visitors year-round. Even though the city is so culturally significant, you can still feel the weight and strain that the Sicilian Mafia has on the social and even economic state of Sicily. Walking tours are among the best ways to see and experience the deep-rooted history of Palermo. If you have any questions or concerns at all, feel free to leave a comment below and I will get back to you as soon as I can.